Once upon a time, almost every major metropolitan area in this country had at least one automotive plant within the vicinity. These assembly facilities were originally built to shorten the time and distance a vehicle would be delivered to a potential customer, as well as create jobs for the local economy in that particular metropolitan area. As time went on and market segmentation became a reality, these plants simply disappeared. In the Highland Park district of Saint Paul, one such plant has been operating since the heyday of the Model T. Built in 1924, Ford’s assembly plant on the bend of the Mississippi River is the oldest in operation in the company. The site was chosen for its riverside location to harness hydroelectric power for the plant. A dam was built in 1929 to do exactly that. 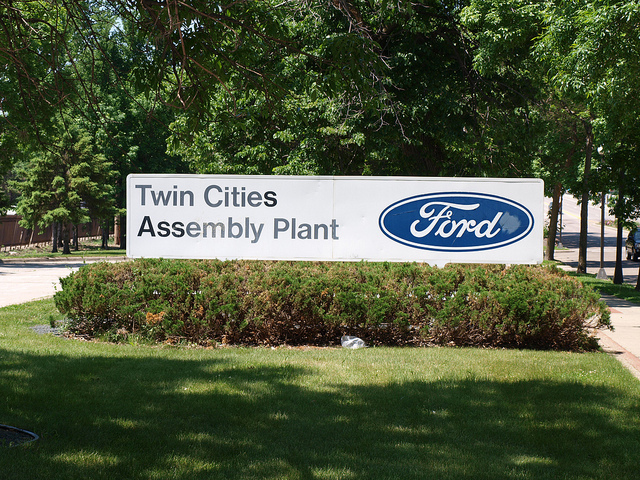 On December 19, Ford will close its Twin Cities Assembly Plant. The reason behind the closure is wrapped up in one word: Obsolescence. Not just because the plant has been operating since the 1920s, but of the product it currently builds: The Ford Ranger pickup. The current North American Ranger pickup had been replaced elsewhere with a new version of the truck currently built in Thailand and South Africa. Since 1982, Ford’s domestically-designed and built compact pickup was seen as the most inexpensive and fuel efficient way to get into a pickup. Its capacity may not be as great as it’s slightly larger competition, but the Ranger served a purpose for both recreational and commercial customers. However, Ford felt that the Ranger had been outmoded in a time when the F-Series pickup still mattered. There were a few options discussed, ranging from importing the new Ranger out of South Africa via the “Chicken Law” to creating a sub-F-150 that would be a tad larger than the Nissan Frontier and Toyota Tacoma in size and stature. Regardless, Ford will shut down the old Saint Paul plant and send 800 of its workers onto Minnesota’s unemployment rolls. The plant was a consequence was a larger picture that requires a lot of examination and understanding to parse out at this point. That would require an explanation of global market shifts, domestic market shifts, product development discussions pertaining to certain markets and segments as well as the economy of supply chain in the manufacturing sector in relation to geography. It brings up a series of questions: Why close this plant? Why close a facility that had the best productivity ratings and numbers amongst Ford’s North American facilities? Also, does closing down the Twin Cities Assembly Plant run counter to Ford’s plan to bring the production of global products to these shores? In the past year, the Saint Paul-built Ranger actually experienced a small renaissance in the marketplace. Sales increased month-to-month thanks its class-leading fuel economy, low price point and proven utility. Many of us in the automotive trenches wondered if it was too premature to close the plant and stop production of the truck if it is still yielding sales? The reality of automotive assembly in this millennium is to consolidate production closer to a more centralized supply chain of parts and components needs to build these vehicles. This was the case when assembly plants and suppliers were in almost every metropolitan area. The reality has changed with an even greater number of automotive component suppliers appearing to be non-existent anywhere northwest of Chicago – with only a few remaining exceptions. When the announcement was made public to Ford’s rank-and-file, most of them members of the United Auto Workers Local 879, those who spent their livelihood inside the Twin Cities Assembly Plant shed tears over this difficult decision made by Dearborn to end production at Highland Park. Saint Paul Mayor Chris Coleman had his own lament to deliver. He thanked Ford and the workers who served the Highland Park neighborhood on the Mississippi River for the past 86 years. He wished, as many of us in the automotive community, that the plant would remain with new product for manufacture. Nonetheless, it is difficult to witness an old automobile plant shut down for good. 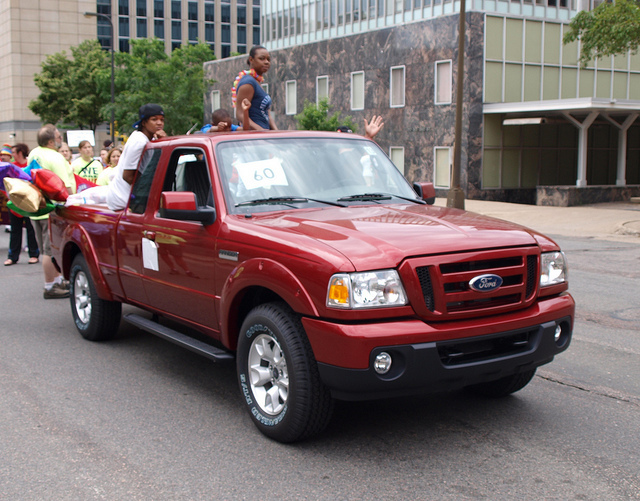 Our hearts go out to the men and women of the United Auto Workers Local 879, some of whom marched in this year’s Twin Cities Pride parade. Hopefully, there is a way to ensure their futures are solidified after the last Ranger exits the line. There are 122 acres of prime property near the Mississippi River that will be up for grabs in the southwest portion of Saint Paul. The future is up in the air per the City of Saint Paul to decide a final plan on this important parcel of land. For now, it will be history; a ghost town just before Christmas.